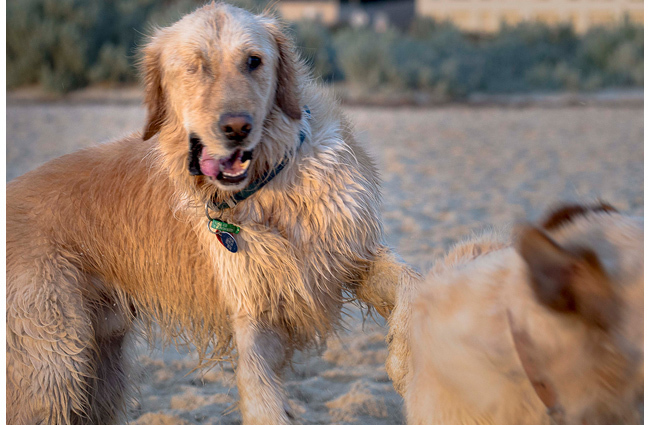 When Barney was found wandering the streets in Geelong, both his eyes were badly affected by glaucoma. One was so advanced that it had to be removed, and the prognosis for his remaining eye was not positive. He was placed in a foster home, but his foster carer was worried he may lose vision completely before he found his new home. Sarah was living happily with Archie the golden retriever and Ted the King Charles spaniel, and wasn’t looking to bring another dog into her life. That was until she saw Barney on her Facebook feed. A play date to test the dogs together was a huge success, and Barney moved in. 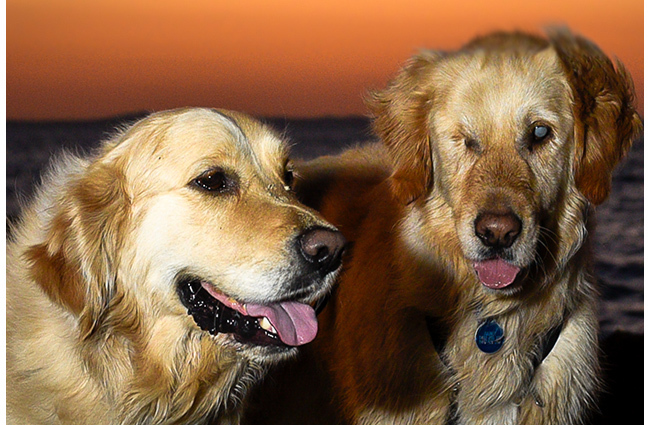 Just prior to Easter 2014, the glaucoma attacked Barney's remaining eye. 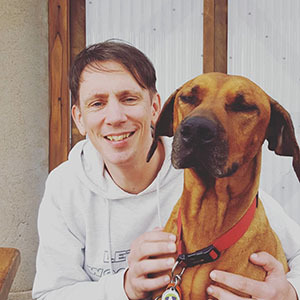 Different medications proved ineffective and over a period of three days, he lost vision completely and Sarah made the very hard decision to have it removed to alleviate the intense pain he was in. “Barney remained so calm during the entire ordeal. Within days, he could navigate himself throughout the house, garden and off lead to the park at the end of the street,” said Sarah. 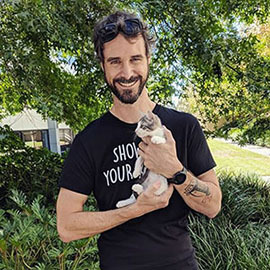 Right now on the PetRescue website, there are more than 1,000 special needs and senior pets in urgent need of a loving, caring home and you can help them today! 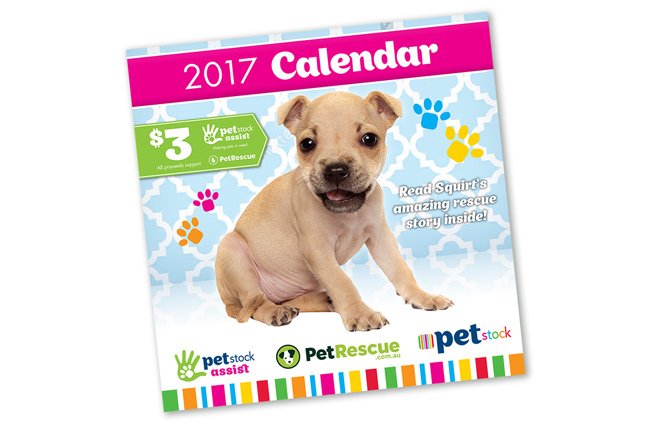 All you need to do is purchase our 2017 calendar for just $3 and all proceeds go to fund PetRescue’s pet adoption programs that support more than 950 rescue groups, shelters and pounds nationwide with vital free services. Help more homeless pets like Barney get their gotcha day, and make sure you remember all your important dates in 2017. ^While stocks last. May not be available in all stores, contact your local store for details. *Orders under $50 and 5kg include a $9 shipping fee. Free shipping is available on orders over $50 (and under 45kg).